First and foremost, big props to the narrator of this audiobook, Allan Corduner, whose performance was right on target with all the voices and accents. I bumped up my rating of the book just for that. It was one of those audiobooks with a combination of compelling story and riveting narration that makes you want to get in your car and drive and drive just so you can listen some more. 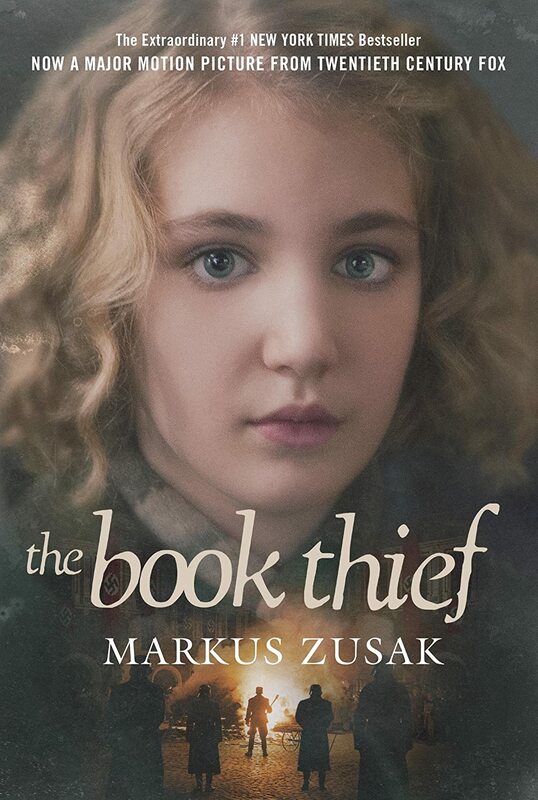 Narrated by Death himself, The Book Thief tells the story of Liesel Meminger, a young girl living in Nazi Germany with her foster family and a hidden Jew in the basement during the early years of World War II. Liesel is obsessed with reading and with books, which sometimes seem to be the only comfort in a crazy world. She reads them. She writes them. She steals them. She gifts them. She receives them. As I read this book, I couldn't quit thinking about Stones From the River by Ursula Hegi, which I read many years ago. Both are stories of what life was like for the every day German during the war--not the soldier, not the Nazi, but the regular guy who just wants life to be normal. Initially for Liesel her life is not much different than usual, but when her family takes in a dispossessed Jew who has a backstory with her family, that all changes. When I finished listening to the last of the book, I wanted things to end a little tidier, a little happier, but why should books be different from real life? This is a really great audiobook and one I highly recommend!